I chat with Sandi Reinlie. She is the pastry chef at Vespaio on South Congress, which happens to be one of our favorite Austin restaurants. The Austin Food & Wine Festival kicks off today. Earlier this week, I had the pleasure of interviewing a few super talented pastry chefs. (I know, I have a tough job). First up: Sandi Reinlie. 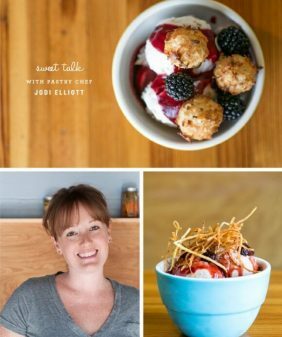 She is the pastry chef at Vespaio on South Congress, which happens to be one of our favorite Austin restaurants. I just loved the chance to hear about what inspires her! What (or who) inspired you to become a pastry chef? It came from two places. My family, especially my grandma Beverly. She loved to bake, which inevitably was passed on to mom and on to me. I have fond memories as a child making blueberry muffins with my mom, and also watching my grandma make strawberry jam using strawberries we picked from their farm. My dad opened and managed several restaurants, and I started working in them at the age of 12 years old. I loved it! I worked in the music business for 10+ years and became burnt out living on a tour bus. I was at a loss as to what to do. My dear friend Yvette and her daughter, Sophia, had just moved to Austin. I offered to host Sophia’s birthday party at my house and make a cake. She was obsessed with monkeys, so I made her a monkey cake. That was it! I realized I needed to go back to my roots. 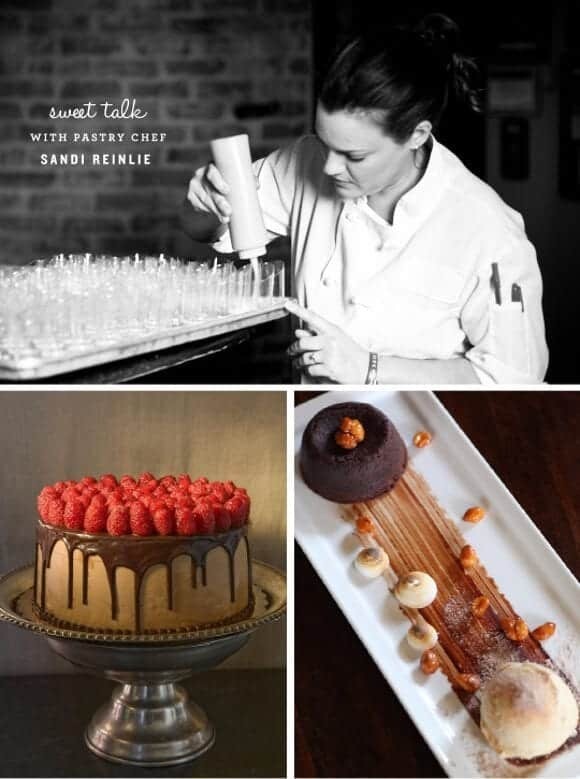 Such a cool story on how Sandi become a chef. Her food looks so good.